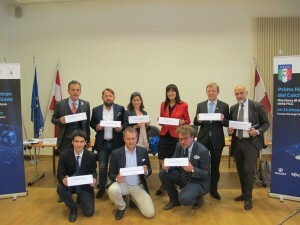 The Hackathon of teh Italian Football Association-FIGC (which will take place on 14-15 October in Trento www.hackathon-figc.unitn.it ) was presented on the 28th of July 2017 at the Representation of the European Region Tyrol – South Tyrol – Trentino to a series of European stakeholders, representatives from the Institutions and from the world of innovation. Entitled “Sport & Innovation: Reflections from the Heart of Europe”, the seminar has been an occasion to reflect on the dual dimension of sport and innovation, launched by the Trentino Universiade 2013, developed by the Italian Presidency of the Council of the European Union and articulated by all the speakers who presented complementary and alternative visions on the theme. The seminar was preceded by two institutional meeting between Niccoló Donna (Head of the Research Department, Special Initiatives and Corporate Social Responsibility), the Cabinet of Antonio Tajani (President of the European Parliament) and the Cabinet of Tibor Navracsics (European Commissioner for Sport-Culture-Youth-Education and responsible for the European Institute of Technology/EIT). This week the partnership between the Hackathon FIGC and EIT Digital was also announced, a message of endorsement and of support by the President of the European Parliament and the High Patronages of the European Parliament and of the European Commission has been confirmed – together with the high Patronages of the Italian Minister for Sport, Luca Lotti and the President of the Italian Olympic Committee, Giovanni Malagó. The event has been an extra-ordinary occasion for the development of the Italian System and its internationalization, demonstrated by the informal participation in the audience of Fabrizio di Clemente (Director of the Italian Trade Agency in Brussels), Kole Gjeloshaj (FISU, International Federation of the Sports University), by a multiplicity of policy-makers of the European Commission and by the institutional presence of the Regions of Toscana-Lombardy-Umbria. “It has been an informal workshop, offering new perspectives on the theme of innovation and sport” – commented Niccoló Donna – who confirmed the willingness of FIGC of internationalizing the ideas and creating a team-spirit atmosphere. The hackathon is a special event organized by FIGC, in collaboration with the Autonomous Province of Trento and the University of Trento, which will take place on October 14-15, where the participants will be called to a marathon of innovation and will be asked to develop new ideas linked with the match analysis and the initiatives articulated on the optimization of the relationship between FIGC and the Community of its members. In parallel to the hackathon, a series of conferences, public debates and meetings will be articulated and coordinated scientifically by Prof. Carlo Alberto Carnevale Maffé and institutionally by Francesco Anesi. The event has been a key moment in order to discuss and explore potential synergies between sport, culture, youth, university and great industrial and sport leaders – included FESI (Federation of European Sporting Good Industry) and FacilityLive (the giant Italian tech startup). 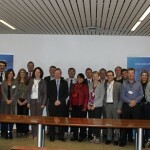 The European Commission was represented by Maria Luisa Fernandez-Esteban (Deputy Head of the Sport Unit, European Commission), FESI by Alberto Bichi (also Executive co-director of EPSI/European Platform for Sport and Innovation), FIGC by Niccoló Donna and EOSE (European Observatoire of Sport and Employment) by Prof. Thierry Zintz. The welcome speech was delivered by Gabriele Pedrini and the conclusions by Prof. José D´Alessandro (Adjunct Professor at the LUISS Business School and entrepreneur) – in between a series of innovators like Francesco Mantegazzini (Head of Infront Lab), Fabrizio Porrino (SVP of FacilityLive and European Tech Alliance) and Silvia Paleari (Senior Consultant, Cabinet DN) have articulated their vision. 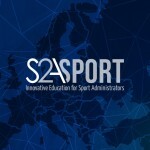 The event has happened in the midst of a crucial moment of evolution for the European Union, which has implemented the programme Erasmus+ and has articulated the new multiannual programme on sport (on the side of the Council). 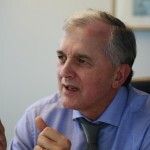 Previously, Antonio Tajani (at the time Vice-President of the European Commission, responsible for Industry) and Androulla Vassiliou (European Commissioner for Sport) had published a Memorandum on the Sport Industry. The first experiment of EIT Digital on sport has been their participation at the Universiade Conference in 2013. The FIGC seminar hopes that it will contribute to the general European reflection on the dual relationship between sport and innovation. The seminar culminated with informal dialogues and a drink reception, sponsored by Cantine Ferrari (partner of the Hackathon FIGC).